Soil classification deals with the systematic categorisation of soils based on distinguishing soil characteristics as well as criteria that dictate choices in land use. Most commonly used is a supra-national classification, also called World Soil Classification, developed by the FAO. It offers useful generalisations about soils pedogenesis concerning the interactions with the main soil-forming factors. 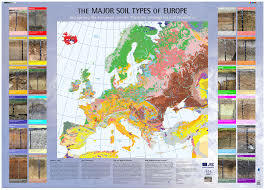 It was first published in the form of the UNESCO Soil Map of the World (1974). Many of the names offered in that classification are known in many countries and do have similar meanings.